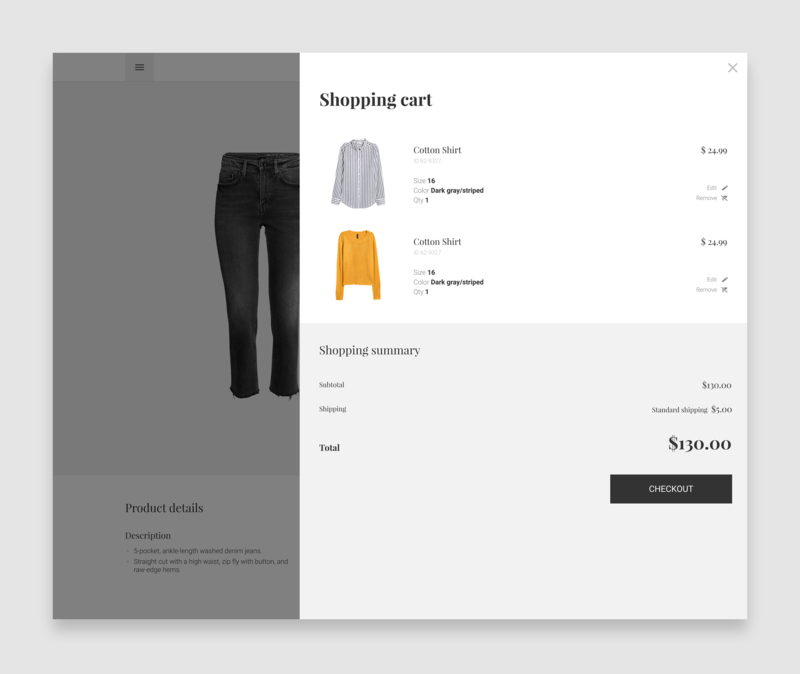 Vue.js Storefront is a project for built for the needs of eCommerce, designed for 100% offline, platform agnostic, with support for Magento2. It is an Open Source project, and anyone can use and support the project, as the developers aim for it to be a tool for the improvement of the shopping experience. 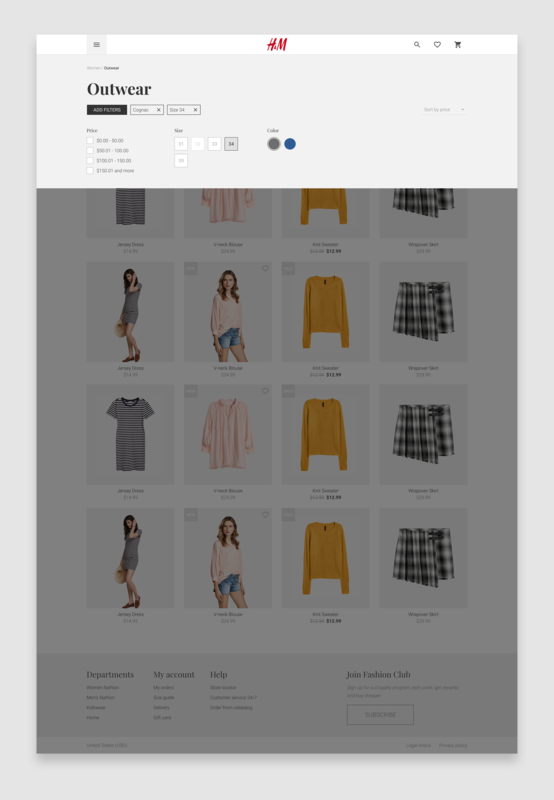 It is a standalone PWA storefront designed to improve the shopping experience, with the ability to connect with any eCommerce backend (eg. 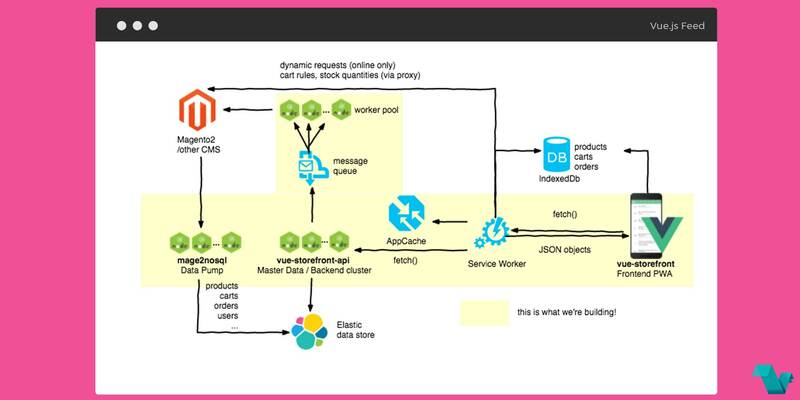 Magento, Prestashop or Shopware) through the API. Also, it is purposed to be a great code base for every developer who needs to work on a front-end application for the eCommerce. So the developers have already created an API for Vue.js storefront with Magento2 (and not only) for backend data. Important note from the developers: We are looking for Contributors and Designer willing to help us in the solution development. To become a contributor check the list of the active issues or contact the team directly via vuestorefront@divante.co. The docs about this project are not yet completed but the team is making great progress. You can see the parts which are done under the /doc folder here. The all-in-one front-end for desktop and mobile screens with no necessity for maintaining 3 or more applications for different touchpoints (web browser, Android, iOS etc.). 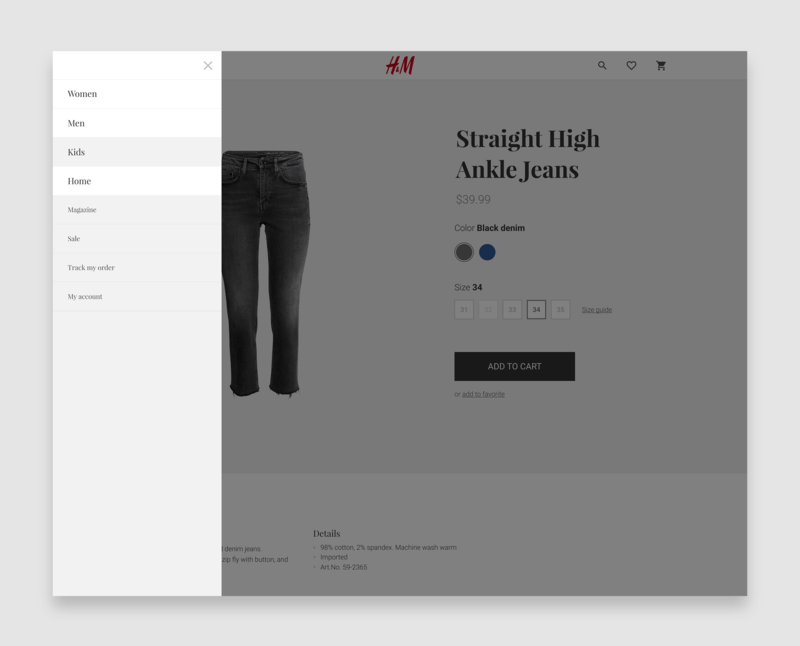 Vue Storefront was built as an all-in-one front-end for eCommerce. Vue.js was used as a front-end library based on its performance, Node.js & Express used as a server-API, Elastic Search as a database of products and full PWA/off-line support. Here you can read more about the proof of concept for Vue Storefront connected with Magento2. The application is prepared to be fully customized in design through theming system. In this project Material Icons are used, as well as H&M brand and products to make the product more realistic. The graphics and photos from the H&M concept visualization are not included, they are the exclusive property of the H&M fashion brand. Here you can read more about the process of designing PWA for eCommerce. To make vue-storefront up and running you need to have the latest version of node (v8.3.0 used for development). You'll also need docker - or ElasticSearch + Redis installed on localhost instead. The steps below are tested on MacOS and Linux environments. If you're on Windows please check Windows Installation Tutorial. You need to use the vue-storefront-api, the API backend designed for this application. The config file is quite simple, but here you have some comments: Config file for vue-storefront. The default config file should work perfectly fine for default purposes. Below are some screenshots of the storefront using fashion products. The PWA Vue Storefront is open-source & hosted on GitHub under an MIT license.